An attempt to impeach unpopular Brazilian President Dilma Rousseff is as likely to prosper as the country’s ailing finances right now. The move probably doesn’t have the votes to get far. Its proponent, the lower house of Congress’ Speaker Eduardo Cunha, may well be seeking to divert attention away from bribery charges, which he denies. But his political shenanigans will further sap efforts to fix Latin America’s biggest economy. Cunha took nearly three months to accept an opposition request to open proceedings to unseat Rousseff, who said she was “indignant” and denied any wrongdoing. Now an all-party committee will take some weeks to assess the case, which is based on alleged dodgy accounting her government may have used to benefit her re-election campaign last year. Then two-thirds of the lower house would need to vote to proceed. 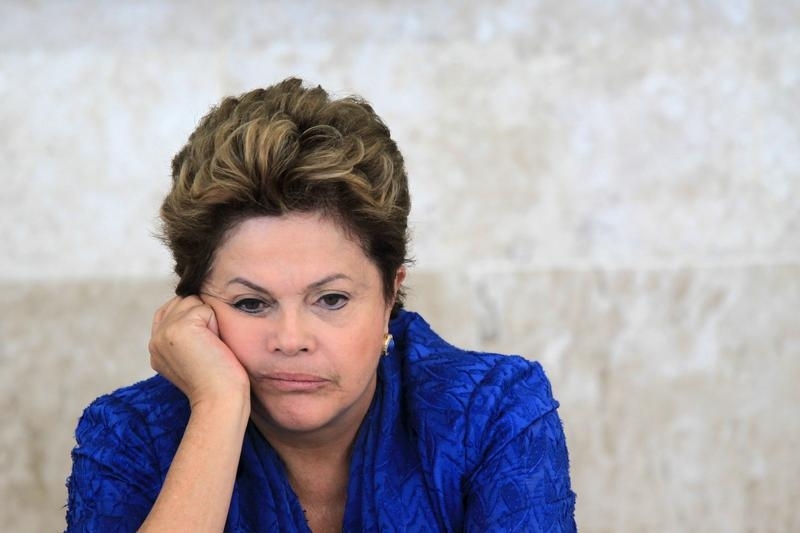 It is very unlikely the 342 votes required can be found by Rousseff’s enemies. The parliamentary rigmarole will, though, further sap efforts led by Finance Minister Joaquim Levy to address deep problems in the roughly $2 trillion economy. In recent months Brazil has tipped into its deepest recession in 25 years amid a commodity-price slump and clumsy statist policies during Rousseff’s first four-year term in office. Austerity measures have faced a rough road in Congress and proposals such as a financial-transaction tax to boost the government’s coffers now seem even further from implementation. Some congressional business is nevertheless going on. Both chambers did manage on Wednesday to allow the government to drop its fiscal savings target and run a deficit this year, which will let it pay its bills in December. That’s something. Standard & Poor’s has already stripped Brazil of its investment grade. Fellow rating agencies Moody’s and Fitch have held off from doing so thus far. A move to cut Brazil to junk status by either would raise its cost of borrowing and could force some classes of investor to shun the country, further undermining the government’s recovery efforts. Adding more political uncertainty to Brazil’s shrinking growth may prompt analysts at one or both to sharpen their pencils. The speaker of Brazil’s lower house of Congress, Eduardo Cunha, said on Dec. 2 he had accepted the opposition’s motion to open impeachment proceedings against President Dilma Rousseff. Opposition parties seeking to unseat Rousseff filed the request in September. They accuse the unpopular president of violating Brazil’s fiscal laws and manipulating government finances to benefit her re-election last year. Brazil’s economy shrank 1.7 percent in the third quarter, deepening its sharpest recession in 25 years, government statistics agency IBGE said on Dec. 1. On an annual basis, the economy dropped 4.5 percent in the third quarter, the steepest decline since the current data series began in 1996.